Image: JB Lacroix/WireImage/Getty Images, Paul Archuleta/FilmMagic/Getty Images. Design: Allie Gemmill/SheKnows. 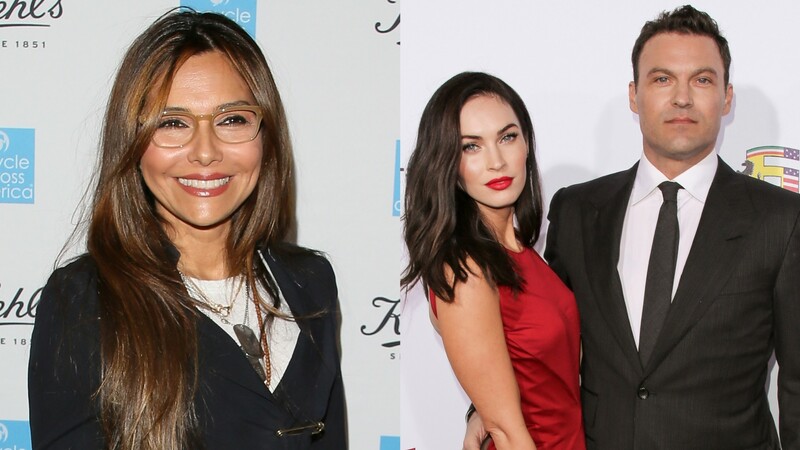 The drawn-out custody battle between Brian Austin Green and his ex, Vanessa Marcil, just took another turn. After years of Green and his wife, Megan Fox, allegedly fighting with Marcil for full custody of 16-year-old Kassius, Marcil claimed in a lengthy Instagram post made on Nov. 11 that Green and Fox have actually cut the teenager out of their lives. As reported by Us Weekly, Marcil and Green welcomed Kassius in March 2002. The pair split sometime before Green began dating Fox in 2004, later marrying her in 2010. Green and Fox have three children together: Noah, Bodhi and Journey. According to Marcil's Instagram post, Kassius hasn't even met Journey because Green and Fox allegedly stopped all contact with him five years ago. Marcil's post is a screencap of journalist Lisa Ling talking about how custody cases affect families. In her caption, she wrote in part, "12 years ago I was served legal papers and then spent 8 years+ defending myself and my son in custody court in response to his father & his stepmother trying to get full custody (that means I would have seen my son four days a month) and then asking me to pay them child support." She went on to say that Green and Fox lost their court case and that she "never spoke publicly in order to protect my then young son from paparazzi that used to follow him & terrify him." Marcil said she never asked for anything from Green and Fox and would never have tried to take full custody. However, now that they have allegedly cut Kassius out of their lives, Marcil added, "Kass has never met his youngest brother and is not allowed to know where his bio father, stepmother and three younger brothers live." Marcil ends the caption with a call for parents to "put the kids first" writing, "Custody cases hurt the children only and the truth shall set us all free," and "There shouldn’t be a 'more important parent' kids love both parents equally no matter what either parent’s struggles may be. Kass has been truly heartbroken since being cut out of his other families [sic] lives with NO explanation. Let’s do better for our kids. Let’s share our stories." Us notes that Green shared a photo in August of Kassius starring in a school play, which would contradict Marcil's claims. However, Marcil reposted the photo on Nov. 12 claiming it was actually a photo she took. At the time of reporting, neither Green nor Fox have issued a statement in regard to Marcil's claims. Custody battles are rarely easy, especially when they take place in the public eye. No matter what is going on with Green, Marcil, Fox and their families, we hope it's resolved soon.